Last day in Rome. 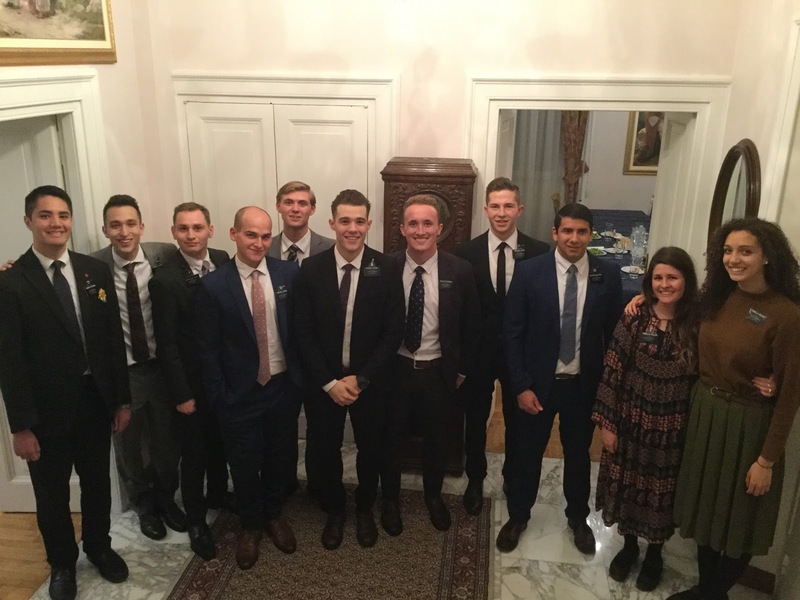 All of us were in the MTC together, except for the sisters, who came in 4 transfers after us, the same transfer when I went to Trapani. Last day in Rome, with President and Sister Pickerd, on the same steps of the Villa where I had my first picture taken with President and Sister Waddoups in April of 2015. Missionary work rolls on! 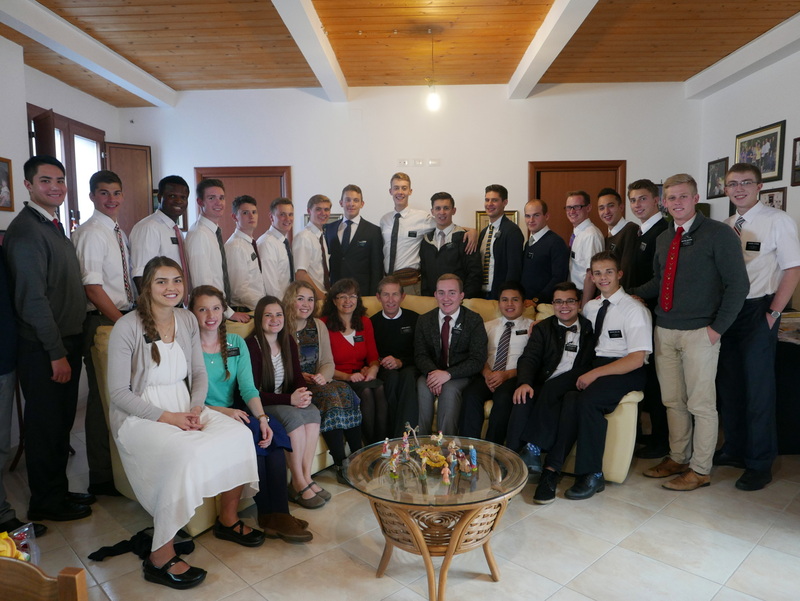 These are the elders and sisters that were arriving in Rome just as we were leaving. One of them is Donny Osmond’s youngest son. Made it home! Arrived in Champaign after a 16 1/2 hour trip from Rome to London to Chicago to Champaign. 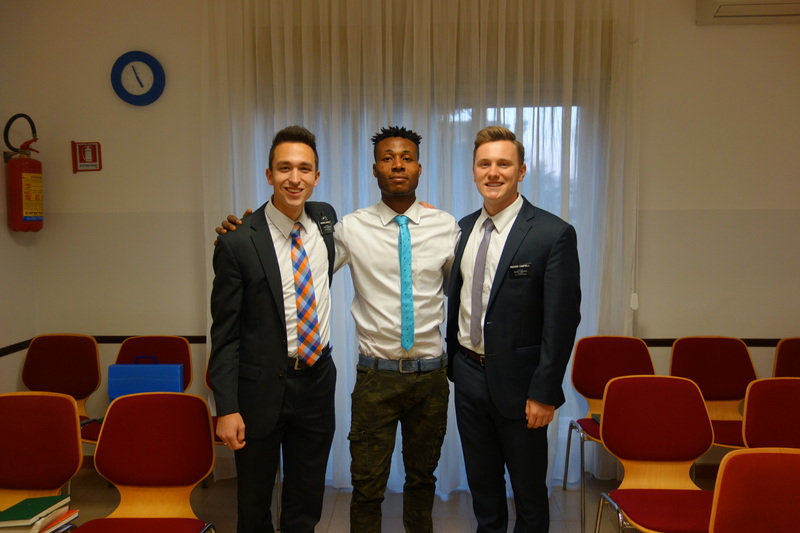 Looks like one of the new missionaries took my place in Sciacca! 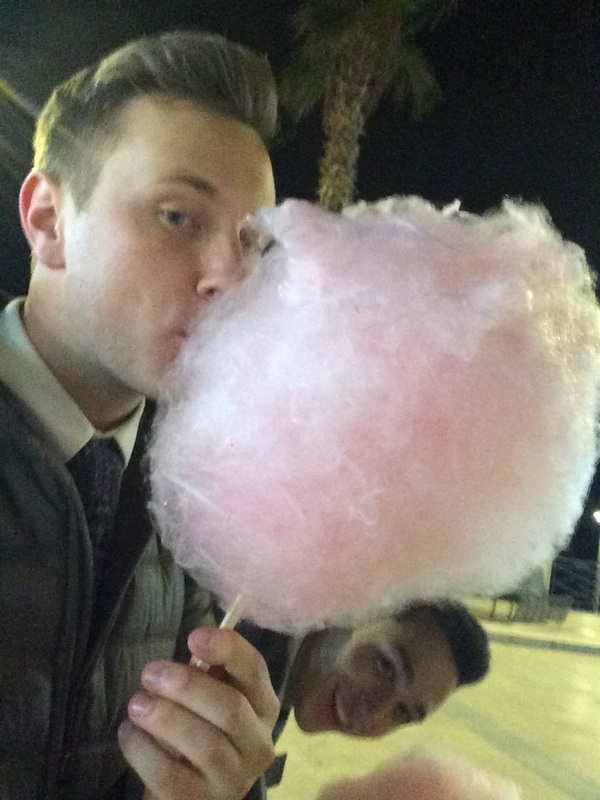 We had another great week here in Sciacca and all is going well! We had a lot going on in another busy week here and we were able to accomplish a ton. 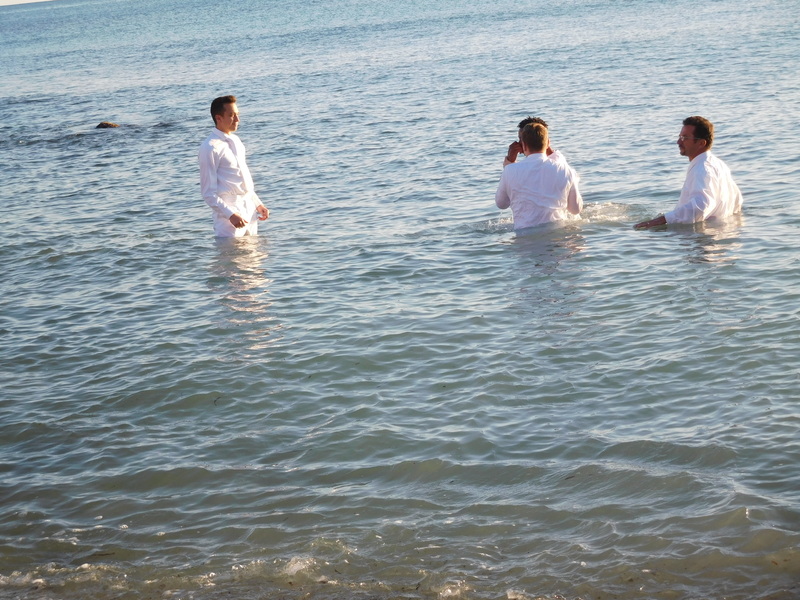 We had a good number of lessons with our investigator who accepted the baptismal date for the 4th. His progress has been miraculous, to say the least, and he is doing so well! He is reading in the Book of Mormon, his prayers are always spot on, he loves saying the prayers during lessons, and he is just already so well integrated into the branch. One cool thing that happened, for instance, is when we taught about Sabbath Day observance this week we invited him to keep the Sabbath Day holy and at the end he didn’t think that he could do it because he would have to work on Sundays when he got a job. We explained that he could ask the people during the interviews if he would be able to have Sundays off so he could do his best to always make it to church and not have to work. He agreed that he would try, with some skepticism still. Well, the next day in another lesson he explained how he went home that night and kind of felt guilty that he didn’t think he could do it. He was thinking how, in the creation, God created the world in 6 days and on the 7th day he rested. He was questioning himself and asking why he couldn’t do that. So he prayed that when he finds work that the people will understand his beliefs and he will be able to have Sundays off. He as been doing really well with everything and he will have his interview this week, when the zone leaders come down to do a scambio, and then we will be holding the baptism this Saturday at noon! It has been amazing to see the miraculous changes that he has had in his life. He has been humbled and he is always expressing thanks that there is light coming into his life, which we know this God’s light entering his life and penetrating him. It is amazing to see that God has blessed us with the opportunity to know him and be able to hear his story. I am really excited to see how it will all turn out for him during his life. We had another great lesson with his sister this week, with some of the sisters from the branch again, that went really well! She is engaged in the invitations that we have extended to her and she is doing well in searching all the things out that she needs to. She really loves the teachings of the gospel and does a great job in expressing her feelings about what she feels and thinks. She really has a testimony of these things, but is just having a hard time recognizing that she does know that these things are true. We are doing our best to teach and ask questions to help her really see for herself what she has instead of just telling her. This will really help her realize that it has been there for a while and she will be willing to act on what she knows to be true because she knows it and not anyone else. It is all going really well with her and we hope to see her continue to progress as well! We were finally able to see our other investigator this week twice after a couple weeks of not hearing from him at all. We called one night kind of thinking that we wouldn’t get a hold of him again and low and behold he answered! We had two great lessons with him this week and in one we talked about real intent and really working hard to seek and find the things that we desire to obtain. We were able to really explain the importance of daily scripture study, prayer, and church attendance and he has recommitted to really be doing these things and he is doing a great job thus far. He started to read more in the Book of Mormon and he came to church this past Sunday which was great! We also saw a miracle with him along his path to obeying the word of wisdom and to stop smoking. He usually smoked 20 cigarettes a day and is all the way down to 1 so that is really amazing! We were super happy for him and he is doing so well! We also had a branch activity this week on Friday night where we played a mixture of games that were set up by our branch President. It was a lot of fun and we played boys verses girls and it all went super well! The games were fun and we were able to help out with some but not all of them since it was Italian proverbs and such, which most of time went over our heads. 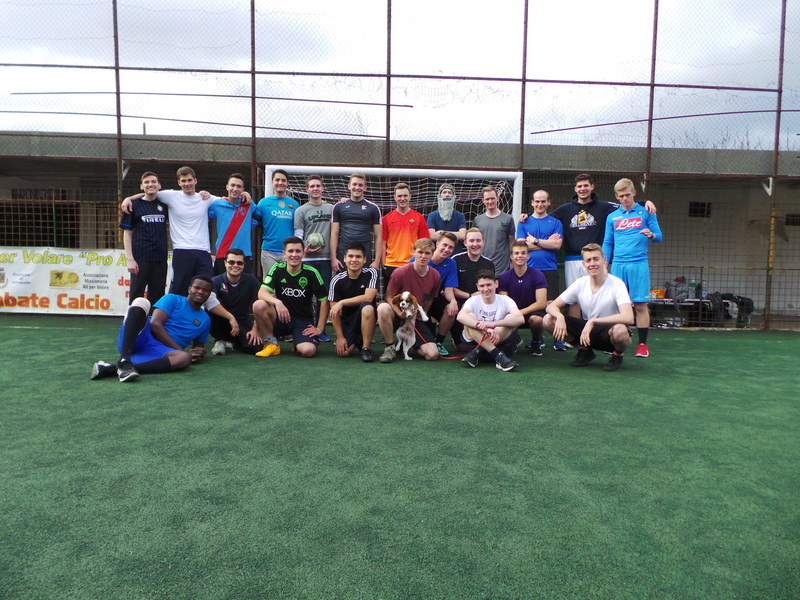 It was fun though and we were able to see how competitive everyone was getting. Then in the spirit of Italian jokes as usual there were a few Carabinieri [police] jokes told hahaha. Then at the end someone asked if our branch President would share this story that he told them a little bit ago and he asked us if he had told us this story or not and we said that he hadn’t so he got into this whole big story about these guys dining and dashing with his wife around one of their anniversaries since they were nice enough to make some room at their table in this restaurant. It was this whole long story and we were just all hanging off on every word that he was saying because he is so good at telling stories and it just seemed so real all to find out it was another big joke hahaha. It was really funny. I really love that it is faith that leads us to put our trust in Christ’s Atonement and in his deliverance from our sins. That is what leads us to the change that can come through repenting of our sins and being clean again, naturally leading us into the next steps of baptism for the remission of our sins and receiving the Holy Ghost as a constant companion to help us for the remainder of our lives. This is why enduring to the end is applying this way to live our life each and every day with continued faith unto Repentance and partaking of the sacrament weekly. There was also an announcement on a change of our key indicators which have been simplified into 4 numbers instead of 9. These are baptisms & confirmations, investigators with a baptismal date, investigators who attended sacrament meeting, and new investigators. 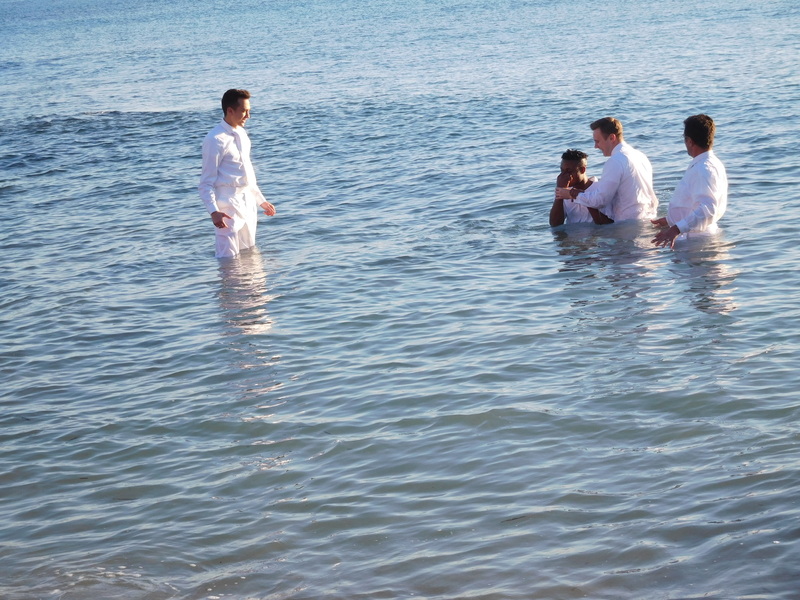 It is really nice with helping us focus on working towards helping these people repent and be baptized. There was also an announcement on the change of our daily schedule which consists of things that we need to do each day, with a flexibility of being able decide when to do them. This will help us all to really decide what the best way to use our time is, since each mission is different, as well as each city in a certain mission. It will really be nice moving to this new way to plan and do everything, and we get 2 extra hours of pday staring at 8:00 instead of 10:00! We had a super cool service opportunity as well this week! We got a phone call one morning from our investigator that is the husband of a member. A week or so prior we had met in a panificio [bakery] near our house (the people that work there used to live in Chicago, so we sometimes pass by and chat with them since they have been friends with the missionaries for a long time). So one of the ladies that works there asked if our investigator could help get a hold of us to go in and visit them since they needed help with something. So we went there after our studies and they needed some help with English to help her son study for these exams to try and enter into a military academy since he wants to become a pilot in the military. So we went to their house later that day and helped him out and it just went super well. They are such a nice family and we really enjoyed being able to help them with everything. So they wanted us over for dinner and last night was the only night that we really have free all week so we were able to go out and have an awesome dinner with them last night. 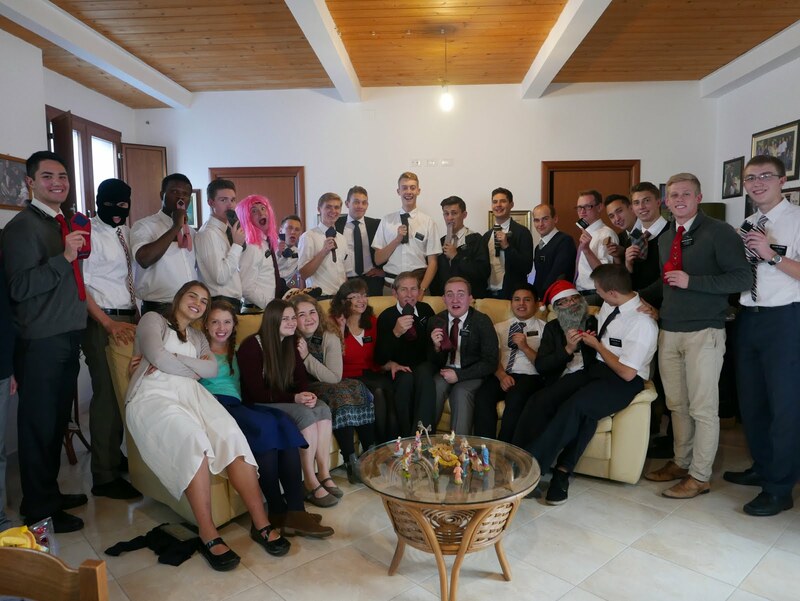 They showed us around their house and we were able to get to know them all better and at the end we shared the message of the restoration with them and they all agreed to read the Book of Mormon. It was super amazing and the kid, who is about our age, is really cool and was talking to us on the way home how he admires what we do. We really hope that all this goes in the right direction and we will be able to help them out. We will be heading to see them again and help out a little more with studies this Friday. We had a great week though and I look forward to this upcoming week with all the things that we have planned. So late this past summer the day in which departing missionaries go up to Rome changed a little bit. We no longer head up the Saturday before and then are there until Tuesday, but now you go up Sunday evening so you are able to spend the maximum time in your area. 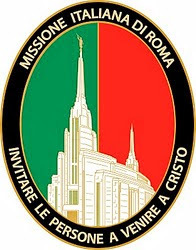 Well, this time it is a little different and we are actually headed up to Rome early Sunday morning at 6:40, which means we will make it up there in time to head to Rome 1 for church! I am definitely excited about that and will be able to bear my testimony where I stared and bore my first testimony in Italian on my first Sunday in April 2015. It will be great to see all the members up there and talk to them. So we will then do proselyting in Rome that evening and then sleep there. My interview will be held the Monday following in the morning, most likely after some other things in the office like turning in my iPad and such. 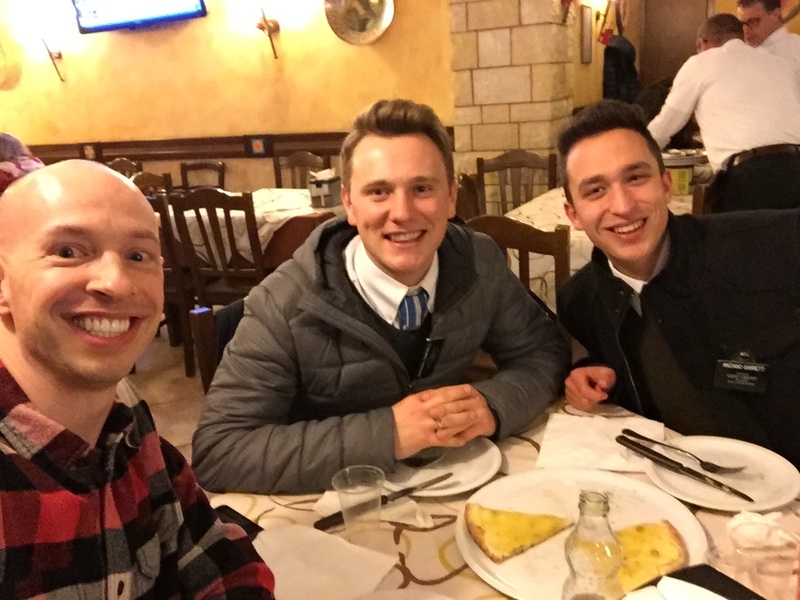 We will then have a pday in Rome and be able to go around Rome for one last time and then we will all meet in the Villa for departing dinner and testimony meeting. Then Tuesday Anziano Blocker and I will be headed to the airport first, since our flight is at 8:00, and we will go from there. Well, I look forward to being able to tell you all about this last week here in Italy next week! So I am not completely sure if I will be able to write an email next week and surely wont have time to write anyone personally at all, but if I don’t, I plan on writing up my last blog post upon arriving home so everyone can get the final update on how the week went and what not! Look forward to seeing you all soon and being able to tell you more of all my experiences here these past 2 years! Love you all and thanks again for everything! Members of my MTC group in the Palermo Zone. We have one week left! I hope that everyone has had a great week and that you are all enjoying the winter back home, which never seems to make up its mind, for Illinois at least. Hope that all is going well in your lives too! This week was another great one and we were able to see a lot of really great things happen and it was super cool to be able to do all that we did. I recounted a little of our zone conference things and such and then we had our pday on Tuesday of last week. Towards the end of Pday we had our english course and we have been in small numbers for a while now and we were able to get a new student this past Tuesday who is in fact the brother-in-law to our branch President. Well we had another lesson with him after the course, which our President came to as well. Well the lesson went super well Sunday and this went just as well! We weren’t able to leave all the normal invites due to time restrictions Sunday so we extended all the invites and we were able to do that Tuesday. It went so well and he has just come out of a difficult time in his life and he has humbled himself so much and really wants to find more faith in God and just be at peace wit himself again working at always being a better person. He is such a great guy and he accepted a baptismal date for the 4th of February which is so amazing!! We are so excited and we will be preparing him for his interview next week. It was such a fulfilling lesson and his prayer at the end was super powerful. Wednesday we had a scambio with Caltanisetta that went super well and we were able to accomplish a lot of good things during that as well! Unfortunately Anziano Bowers and I were unable to get into a lesson setting because our lessons fell through. We did some great finding though and it all went really well! We were excited to work tougher and we got to know each other a little more too! It was great stuff! I loved the way that Anzinao Bowers can really play well off of everyone. He listens intently to the people we are talking to as well as his companion which he is very easily able to play well off of what the people really need. It was very instructive to be able to do some finding with him. Thursday the highlights were definitely getting to go visit our member who is in the hospital right now for an operation. He was very happy to see us and you could tell that he was very grateful that we came. It was really great to see him and talk with him and his mother who is super nice as well. The other people in the room even chatted with us and a lady was asking a lot of great questions as well. We then had another great lesson with our new investigator and he really understood everything contained within the Plan of Salvation. 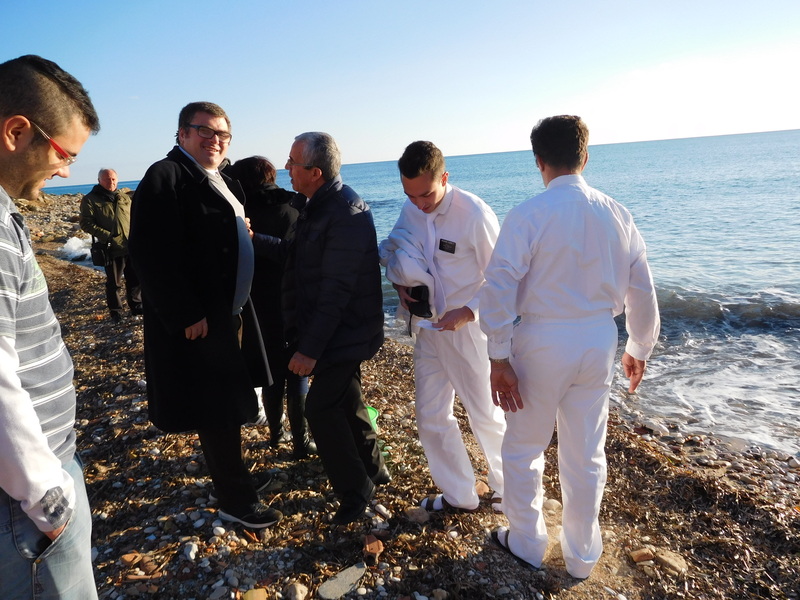 It was a great lesson and we were very happy with the way that it went and the more and more we meet with him the more that we can tell he is ready for baptism. 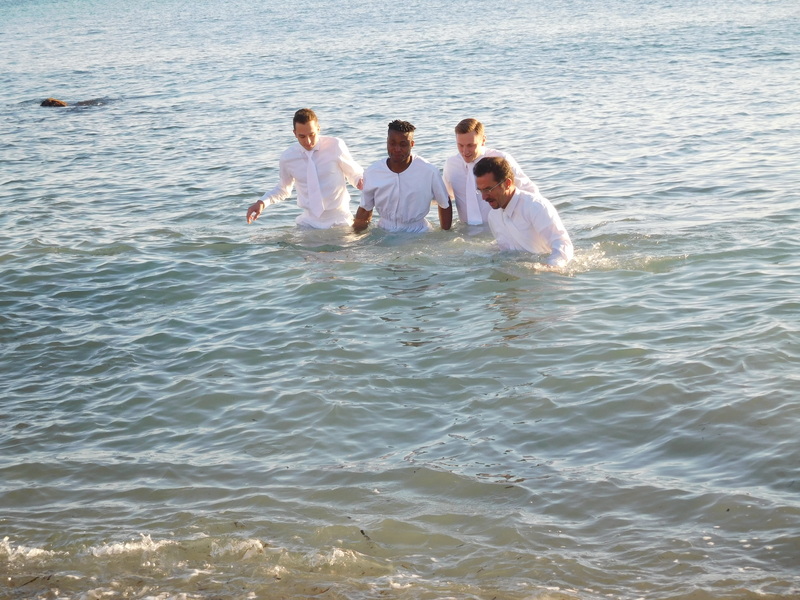 He didn’t hesitate to accept that baptismal date and knows that it is going to change his life for the better. It is a very big commitment, but one where we really come to know that God gives way more than we realize on his side of the pact or covenant that we make with him. I know that it is going to bring many blessings to his life and the lives of those around him as it would with anyone. Friday was a great day and we were able to go visit our member in the hospital again really fast which was another great visit with which we were able to help lift him up again. After that we headed straight to what we were hoping would be a lesson with one of our new investigators with his wife who is the member. He unfortunately didn’t join us this time and we are heading back there today to watch the restoration video with them all. We are really excited to see how that will all play out and where we will get with him. It was really cool to see more and more the changes in him since we have been here. We dropped off that pamphlet to him after we got back from zone conference and we wrote a little dedicha (like a letter thingy) in the inside. I put my name as Anziano Taylor Garrett and so he was making some jokes about the inauguration and how they were missing two Anziani there and he used my first name by memory so I was super impressed by that hahaha. 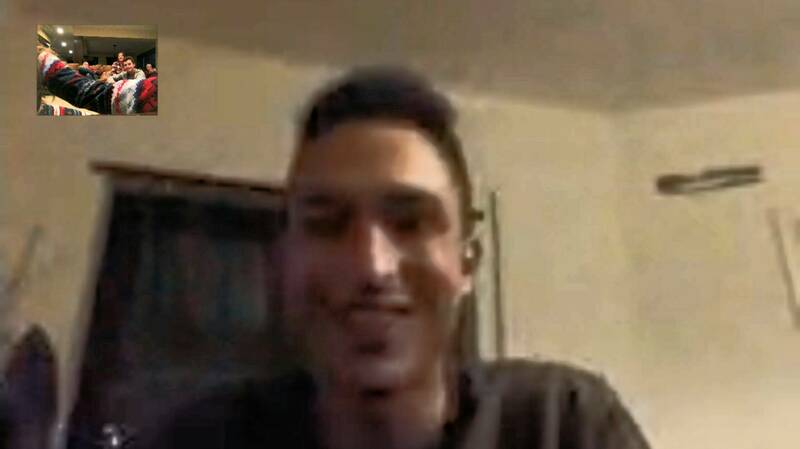 He is so funny and just has this Sicilian mumbling voice that cracks me up no matter what he says hahaha. We had a great day Saturday and we were able to have another great lesson with our branch president’s sister-in-law which went super well too! We taught the restoration and we had three other members there with us and it was great to see all the different conversion stories and how we each have our own way in which we gained our testimonies. This ended up being an essential ingredient to all the invites that we left her. The first one we extended we were floored to find out that she has already read the whole Book of Mormon this past summer after she had a surgery. Well she was willing to read it again thank goodness and she also accepted a baptismal date for the 25th of February. It was a super powerful lesson and we were able to really see the blessings of having member there to help us out in explaining things and offering another witness to the truths that we are bringing to them. Sunday was a crazy day. It started raining in the middle of the night when we would wake up occasionally because of the wind or the thunder and such. It continued to rain really good while we walked to church with some good lighting going off around us. it was coming down hard all morning during the classes and sacrament meeting. It was pouring and the power was flickering on and off. 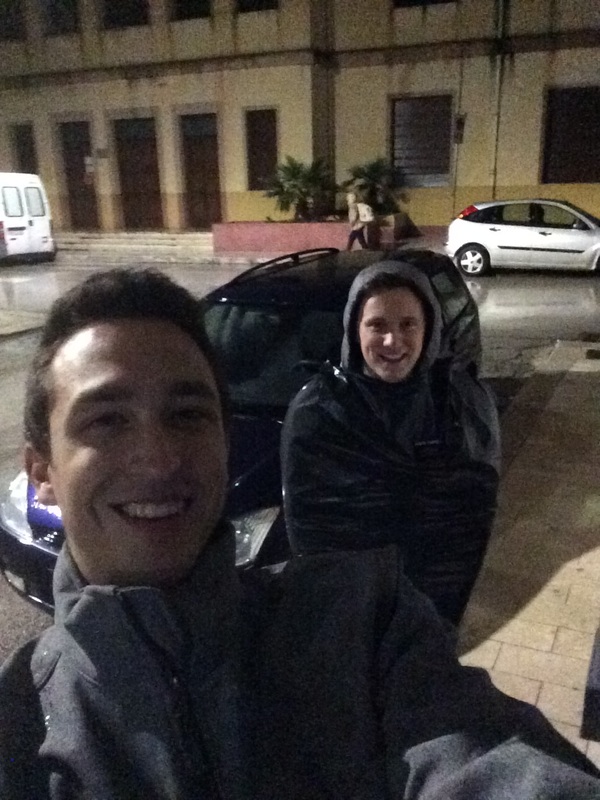 Well after we found out there was a lot of water on the streets similar to how it was when I first got to Sciacca. 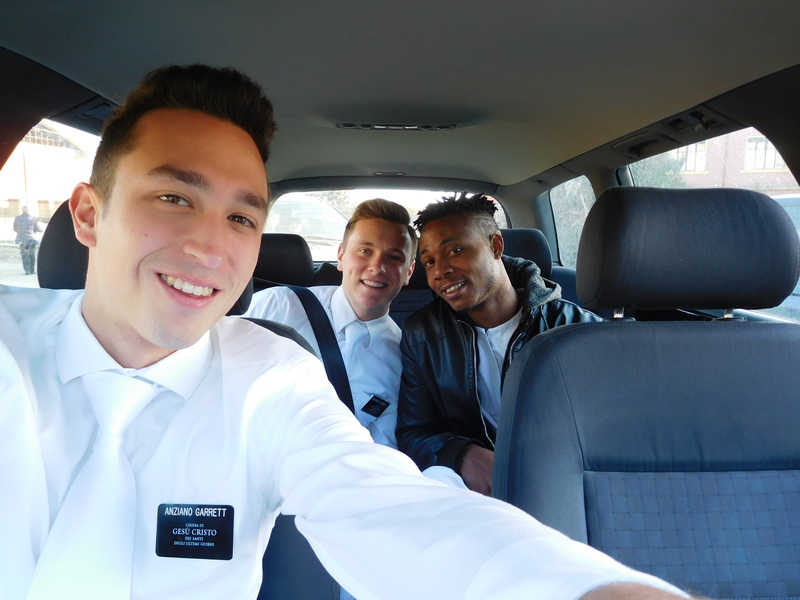 President went and took our new convert home with his friends and had to go contrary to the one way honking to make it to the house. 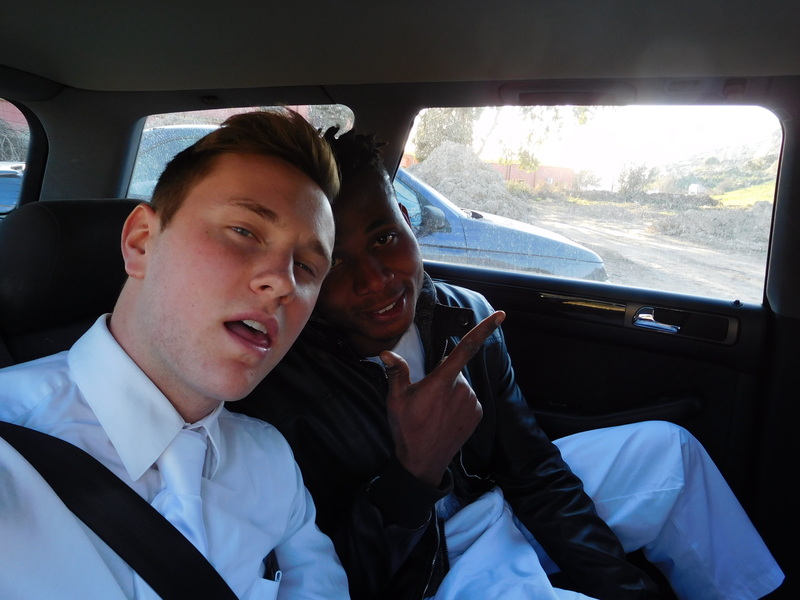 We then went to the hospital to go and give the member the sacrament and a priesthood blessing. Well there were rivers everywhere on the street it was crazy!! I haven’t seen flash floods like that since I was in kindergarten hahaha. It was really cool, but there were some spots that were really crazy, but it was a great day in church. We had both our new investigators there and our new convert brought three friends so we had a nice filled up room for everything this week! We know that he speaks today and it all started with a 14-year old boy in a sacred grove in New York City in 1820. I know that Jesus Christ lives and that this is his church today. I love him and thank him for leading and guiding this church through the prophets chosen of God. I love this verse from D&C which is very powerful to me. 3 Joseph Smith, the Prophet and Seer of the Lord, has done more, save Jesus only, for the salvation of men in this world, than any other man that ever lived in it. In the short space of twenty years, he has brought forth the Book of Mormon, which he translated by the gift and power of God, and has been the means of publishing it on two continents; has sent the fulness of the everlasting gospel, which it contained, to the four quarters of the earth; has brought forth the revelations and commandments which compose this book of Doctrine and Covenants, and many other wise documents and instructions for the benefit of the children of men; gathered many thousands of the Latter-day Saints, founded a great city, and left a fame and name that cannot be slain. He lived great, and he died great in the eyes of God and his people; and like most of the Lord’s anointed in ancient times, has sealed his mission and his works with his own blood; and so has his brother Hyrum. In life they were not divided, and in death they were not separated! I know that to be true. I hope that you all have a great week and that everything will go just well for you all! Palermo Zone, January, 2017. My last zone conference. 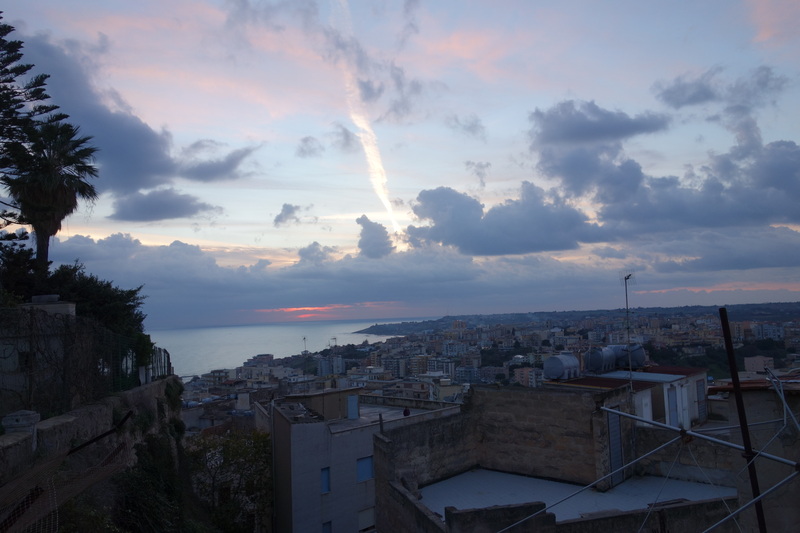 This week went really well and we really enjoyed being able to get some great work done here in Sciacca! The week seemed to have flown by once again. After a while of not seeing our investigator we were finally able to see him this past week with our branch president and the lesson went really well. We were really happy that we were finally able to get ahold of him and we hope that we will continue to be able to meet with him and be able to see where he is at right now. We still have a lot of confidence in him and we will keep working with him and seeing where we can get with him and everything. I really hope that he will continue to progress and make big strides. We had a great scambio with Agrigento and I was able to be with Anziano Jensen, who is in my group, and we were able to get a lot of great things done. We were able to meet with someone that is originally here from Sciacca, but had lived in England for a long time so she naturally speaks English perfectly. 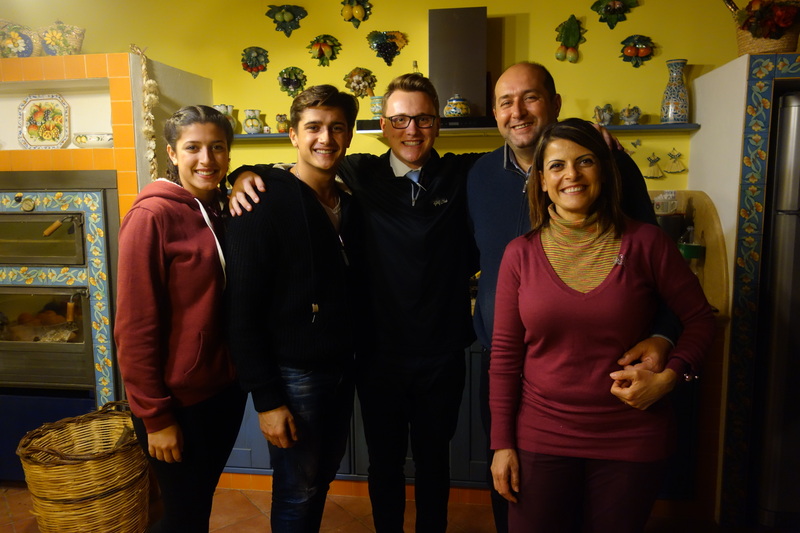 The lesson went really well and she is in a perfect position to recieve the gospel and her daughter, who lives with her kids in Sciacca, sounds like she is in a similar position to really accept the gospel right now. I hope that she will commit to read the Book of Mormon and search for the answer that she really can receive from God. It was a little weird teaching in English, but it all went really well and we hope to see her again this week! That night we were able to go over to a part member family’s house with the plans to teach the member’s husband and have him sit down for the whole thing. Anziano Campbell and I were unsuccessful in our latest previous attempt. Our member forgot that we were passing by and didn’t remember that we had set the appointment. We were still able to come in and we went into the living room, which was perfect, since that is where the husband usually is watching TV. We kept talking to him and he lingered long enough to sit down fro the lesson and we had a great restoration lesson with him. It was one of the most fun lessons because early on when Anziano Jensen found out at that he was a doctor we used this whole big analogy about doctors and hospital that flowed so well throughout the whole lesson involving both of them at the same time. We were really happy with the result and there was a sweet and special spirit that was there with us. We have seen some really big changes in Gaspare since he we have met him early on in our first transfer here, and we are really excited to see where we will be able to get with him and how we can be of help and assistance to him. We had a great lesson with our new convert this week that went super well and we were able to talk about Joseph Smith and we started watching the movie with him which we will finish up on our next lesson with him. He is doing great and it has been so awesome to see how well he is continually progressing. We talked about sending the missionaries to his parents back home. 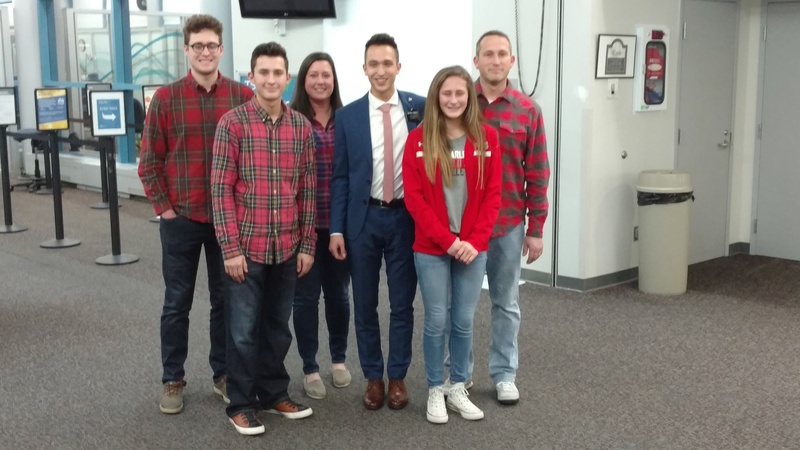 We look forward to seeing where we can get with that and I really hope that his parents will be open to have the missionaries over to their home. We were also excited to see him at our ward activity, along with our other investigator, and some other nonmembers too! It was great! We had a karaoke night and this is surprisingly my first one! 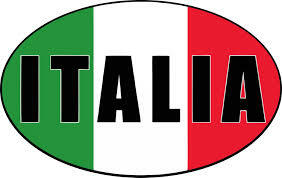 So Italians love karaoke and it is infamous here that most activities end up getting changed into some form of karaoke. We had a great time talking to people and watch how into it everyone would get while they were all singing. It was a great time. We even got an announcement in church that not this Friday. but the next. we will be doing an activity where we will split up into two teams and play some games, and President added that the end if we have some time we will pull out the karaoke stuff hahaha. Sunday I had the opportunity to give the lesson in the combined relief society/priesthood meeting that we have where we go through all the lessons together. It was super cool to be able to talk about being an Ensign to the Nations and how our church is truly that light on the hill. It was really neat talking about the pioneer story of them arriving int he Salt Lake valley and how the church going from 6 members at the beginnings in New York and is still an ever growing worldwide church. 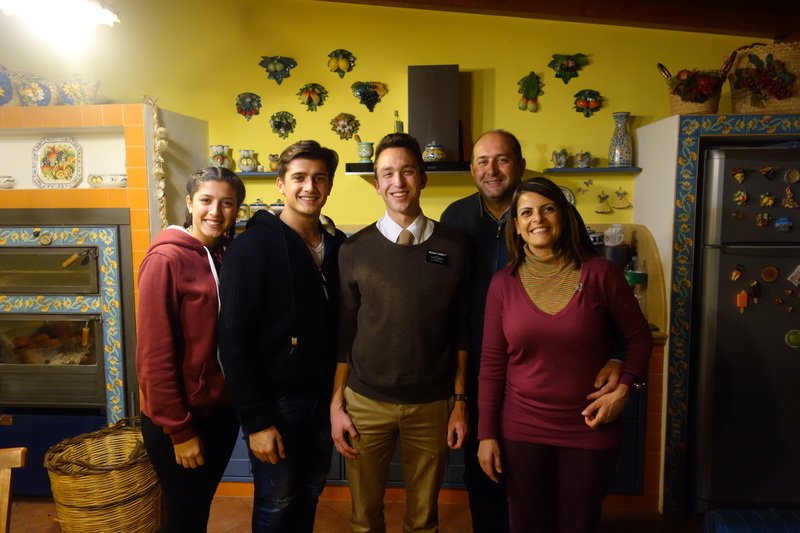 It is amazing and it was so fitting because the members here in Italy are still like pioneers for the church, in their cities, and families. They are really doing their best to help give all their efforts to building God’s kingdom here in Italy. 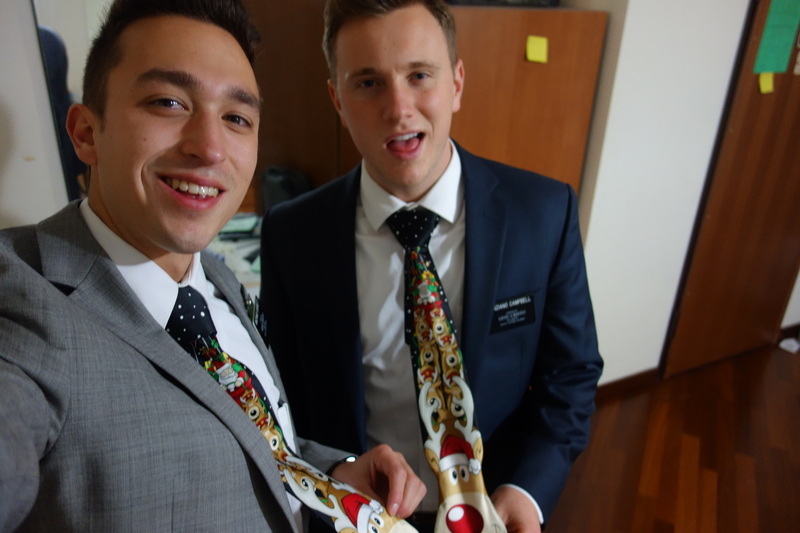 Anziano Campbell and I were both assigned talks this day too and we were able to give these and I was able to speak on the importance of the scriptures in our lives. It was a great opportunity to share my experience with gaining a testimony of the Book of Mormon and how ever since my desire to read and study the scriptures has grown and grown and I am so very thankful for that. It was great too because the brother of the branch President’s wife came to church and has asked to be a part of our church and has a strong desire to change his life. After church we went over to the branch President’s house for lunch and we were super excited because his brother in law was there too! 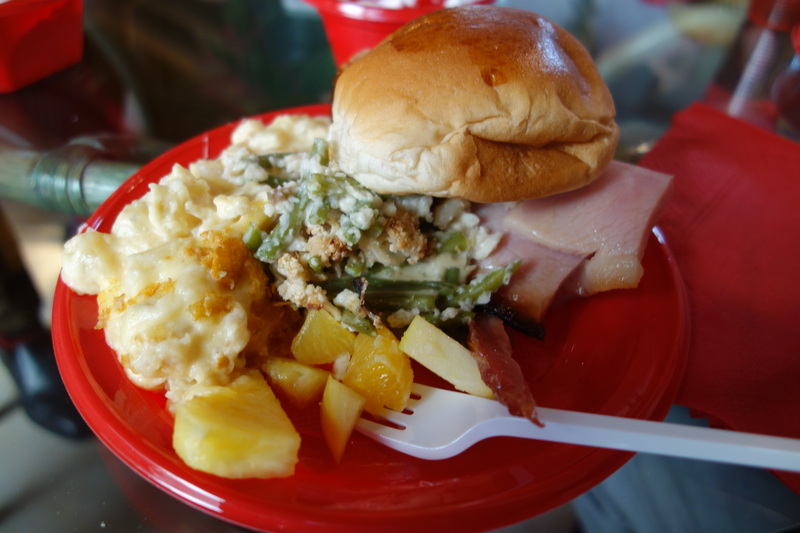 We had a great lunch together and enjoyed being able to talk with one another and enjoy some wonderful food. They also told this really fun account of a famous Italian movie and a banana so that was entertaining to say the least. At the end of an amazing meal, with a nice cannolo to top it all off, we were able to have a great lesson sharing the restoration with them all. It went really well and we were able to hear this guy’s story and why he has a desire to change right now. We are so very excited for him and the spirit was there in much abundance with us all especially while talking about the atonement. We look forward to seeing him again tonight and finishing up that lesson with him. He is a great guy and we are looking forward to seeing where all we will get with him. He is really golden. 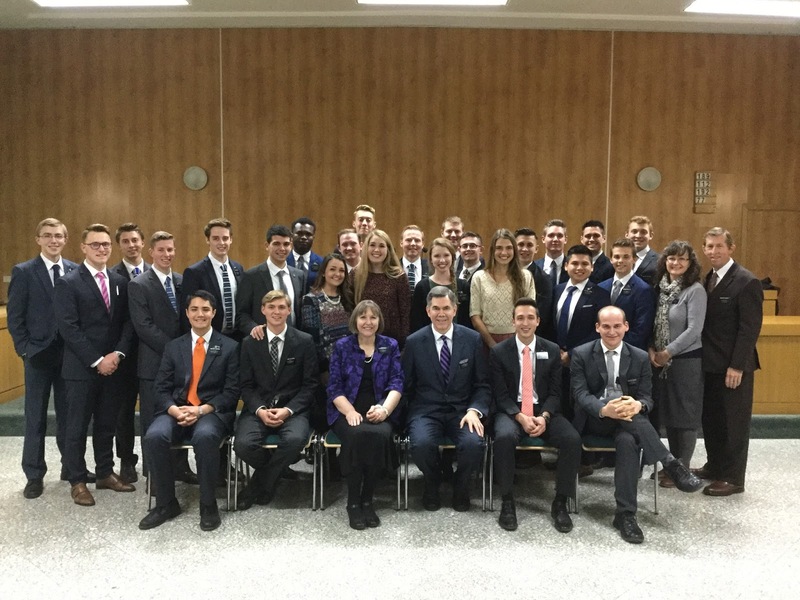 We went to Palermo and traveled to get to the church for our interviews that night with President and Sorella Pickerd. 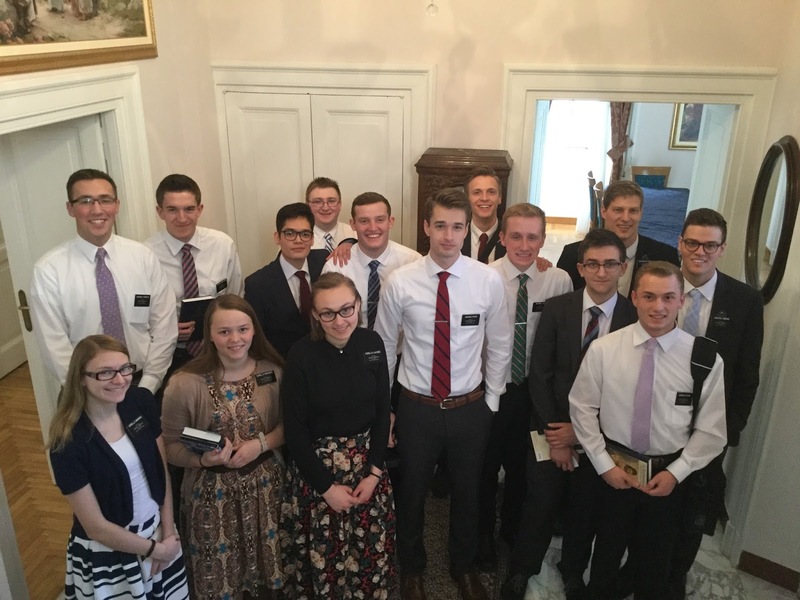 We got there and we were a little behind schedule so we had the opportunity to talk to the other missionaries waiting and get to know them all a little better. The interviews were super nice as always and I love being able to get to know them both better and get the advice and support that we are seeking from them too. I was able to get my temple recommend renewed which was super special and we did the whole thing in Italian! It got me really excited again to be able to go to the House of the Lord which I have really missed for these two years. Super excited for that. Zone conference was really great and we were able to feel a great spirit all together. We talked a lot about the importance of the spirit into our work and how essential it is that we have the Holy Ghost doing the teaching because that is the only way that we can help other people because he is the teacher. That is the way that God has ordained it. I was super happy with all that we learned and all the invitations that were given to us so that we can apply these things to help those around us. 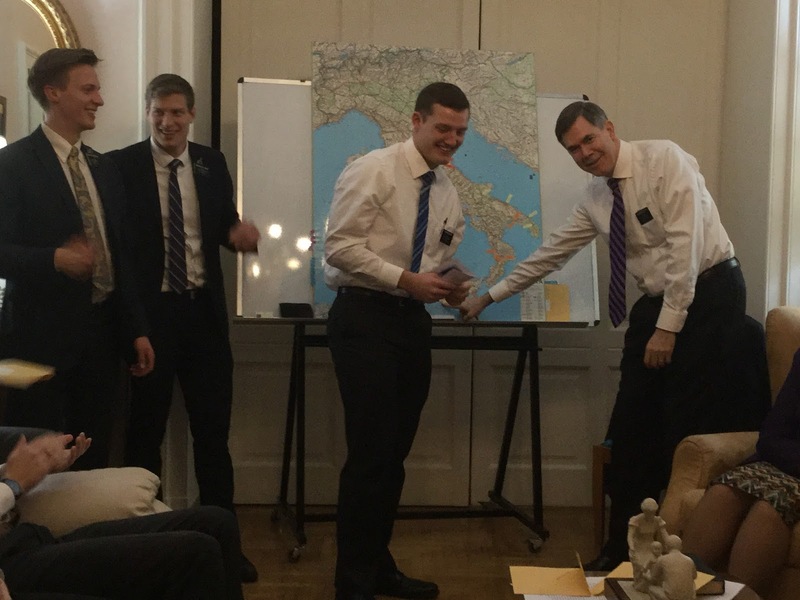 At the beginning of my mission I was able to bear my testimony in my first zone conference in Italian, and yesterday I was able to bear my departing testimony in English. I was thankful fro the Spirit that was present as me and three of the Elders that came in with me bore testimonies. It was a great zone conference and I love how President Pickerd is making sure that we are applying the things we learn for a lifetime not just for the next week, couple weeks, transfers, or missions, but a lifetime. I know that to be true and that the Book of Mormon has truly been this big blessing in my life to really help me be able to have a strong testimony. I invite all to read it and ponder it in the hearts, and as Moroni exhorts us to have faith in God, a sincere heart, and real intent while asking our Heavenly Father if this book be from him or not. I know that we can all receive an answer that will be a blessing for the rest of our lives. I love you all and will talk to you guys next week! So this week was really crazy! We were all over the place and we have been on some sort of transport for 50 hours this week which was really nuts and definitely the most I have ever done in a short amount of time within my whole life. We were definitely worn out by it all and it was a very fun travel at the same time. 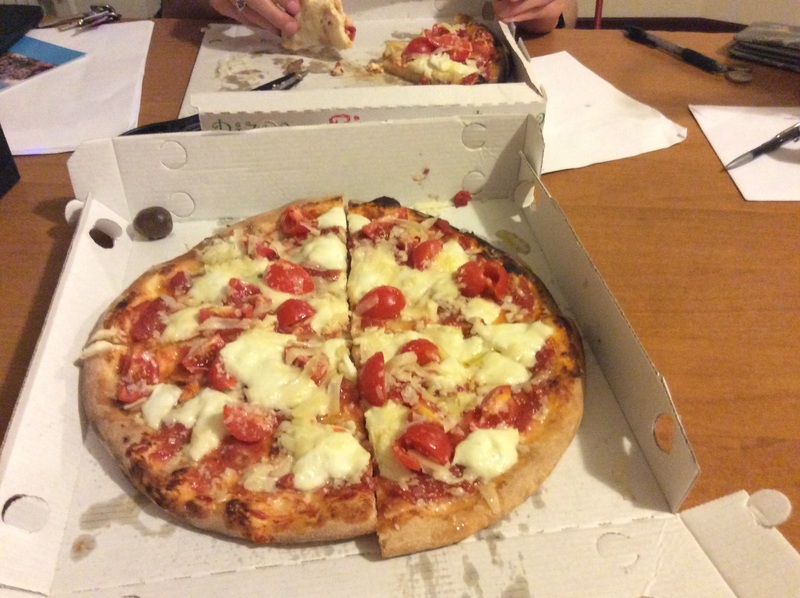 So we started out Monday night by heading to Palermo and we stayed the night there so we wouldn’t have to wake up super early on that Tuesday morning for travel to get to Palermo for our train and run the risk of being late for it or something like that. We headed out on that train at 9:30 and we were on that one for a good amount of time. We had a guy assigned to sit next to us and I am not really what sure what language he spoke because after he sat down for a second I asked him where he was headed in Italian and he didn’t acknowledge me so I am not totally sure haha. He got off after a little bit and we eventually made it to Messina where we cross on the boat to get back over to the mainland. I have been on that thing a fair amount of times it seems like. We had a small expensive lunch on the boat and got back on the train. We then had to endure this lady that was sitting in another little section play traditional Sicilian music out loud and at first it wasn’t that big of a deal, but it definitely started getting a little annoying after a while hahaha. We finally arrived at Salerno at 6:30 in the evening and had about an hour and half layover before we had to be on the train again. Just enough time for a pizza!! We were close enough to Napoli and we were logically starving at this point. 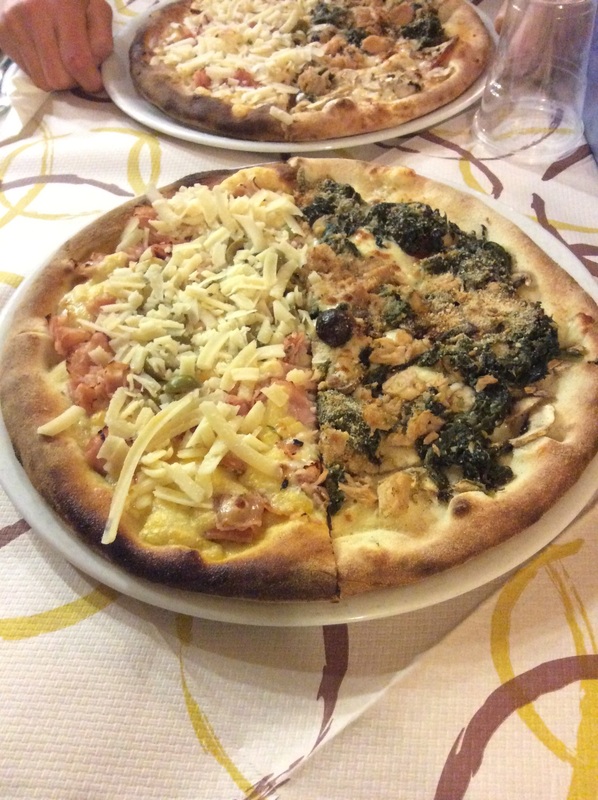 We had a pizza place picked out that we wanted to check out also hoping it was a like a sister restaurant to Sorbillos in Napoli. Well that place was closed so we made our way to another one and sat down and stuffed our pizza down in about 15 minutes or so, which was super delicious as well! After contemplating for a total of 3 seconds we decided to head back to the original place since it was said to have been open by then and grab a pizza to go. Don’t know what was up, but it was still closed. There was another one that we passed by and we decided to check it out and it seemed to be a fast place. We ordered and then I started talking to the older man that took our order. I was asking if they were from Salerno and whether this was their Pizzeria. We were just starting the small talk and then the guy that was making my pizza who was younger stated in Italian that we weren’t from around here. We said that we were from the United States and then all of a sudden he asked in English if we had a tag. Mine was half way covered by the tip of my jacket and we were shocked at the question and the fluency of English. Then he said that he was mormon and asked where we were from. Well we told him we were from Sciacca and he said that he served part of his mission there. We asked him his name and having heard it since being here as well as talking to the members about him we had a great little time talking to his family and his pizza was really good too! We in fact have a cook book he made while he was on the mission and it was a pretty cool experience. After chowing down that pizza we had a nice short little ride for the next leg of the trip. We were late taking off and then we also sat at a station for a while and I had a feeling we were going to miss the connection to get on the bus headed towards Foggia. I tried searching for someone and went down the train, but the door I knocked on no one answered, didn’t realize till after it was the door connecting to the carriage hahaha. When we got off we were rushing around and then we saw the Tren Italia worker getting off and we asked him about the fact that we missed the bus and two others had the same problem. Well thank goodness we asked him, because he offered all of us a ride to catch the bus. So we hurried in the car and headed to one of the towns about 40 kilometers away that the bus would stop and pick up more people. It was super funny and we were just laughing at the situation that we were in and everyone in the car was super nice and we got to talk to them for a good amount of time. Making it to Foggia we had our ride up to Pescara and then sat in the station for 2 hours waiting for the next train and oh my goodness was it freezing in that station. It was so cold and we were tired hahaha. That was definitly the most painful part of the trip as well as waiting in the Porto D’Ascoli station for the last train. We arrived in Ascoli around 7:00 in the morning and we were able to go and get some breakfast at the Anziani’s house, shower, and study before getting Anziano Campbell’s permesso. I got to try these really good fried olive type things in Ascoli which are famous there. We had a nice little short stay in Ascoli before heading back down to Rome and from there we were able to thankfully take a night train with beds on it so we knocked out really fast on that part and when we woke up, besides the few times along the way, we were arriving in Palermo. 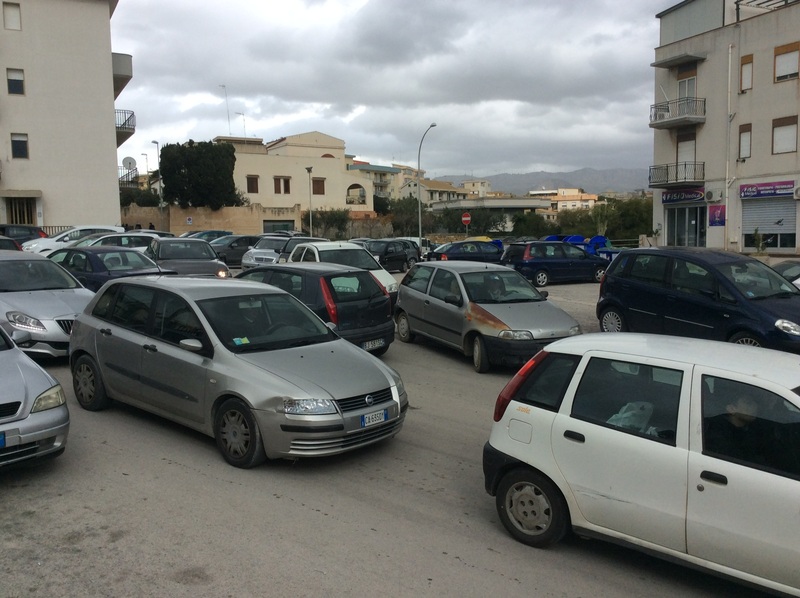 Took the bus back to Sciacca and were finally able to make it to our area. We had a great few work days here in town and were able to accomplish a lot of great stuff. We were able to visit some members and we also had the chance to help some members move to a new house so that went really well! Friday while we were planning there was snow coming down! It was crazy!! That rarely ever happens down here. It was sticking of course, but cool to see. That is also a holiday here in Italy called the il giorno dell’Befana it is where all the Christmas decorations are taken down and apparently this witch comes and leaves some gifts for the kids. It is a cool little cultural holiday. Well, needless to say there weren’t many people out with a combination of these things. We hopped in somewhere to grab something to eat in the evening and ended up sitting down from little bit. Upon exiting I turned around and Anziano Campbell was talking to this guy in English and we were all of sudden in full fledge conversation with someone that served in Sciacca as a missionary 20 years ago and was on a trip planning where he will take students on his trip this summer. 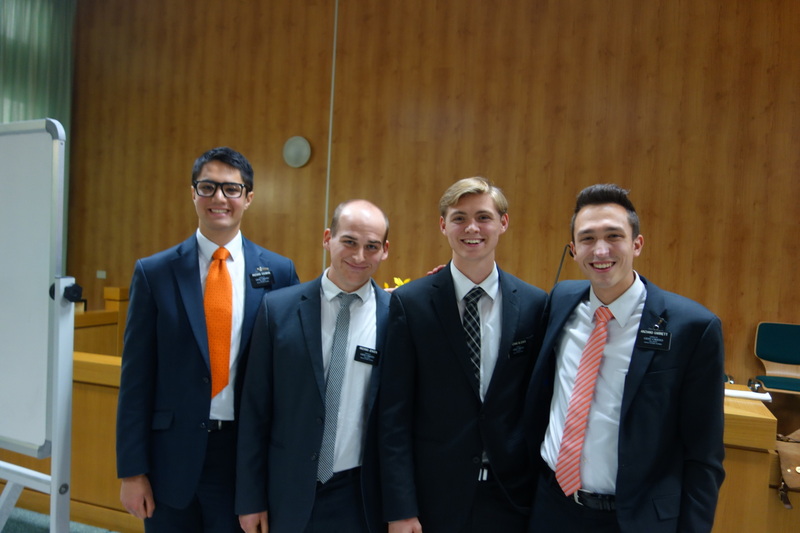 It was super cool talking about members and the experiences that he had on his mission. It was super cool! Well Saturday the whole branch, as well as our new convert, were going to head to Palermo to get to a conference where there would be a General Authority speaking. Well the bus was late for starters and then the next thing that we knew we got the slowest bus driver ever and it took like 3 and half hours to get all he way down there. Thankfully everyone was a great sport about it and we had a potential there as well that is the husband of a member in our branch. Well we made it for the last 15 minutes or so, but it went super well! It was a nutty night, but we made it back safe. All went well and we had a great Sunday to the close of a super long and busy day! We were super happy about everything that happened and all that we were able to accomplish. 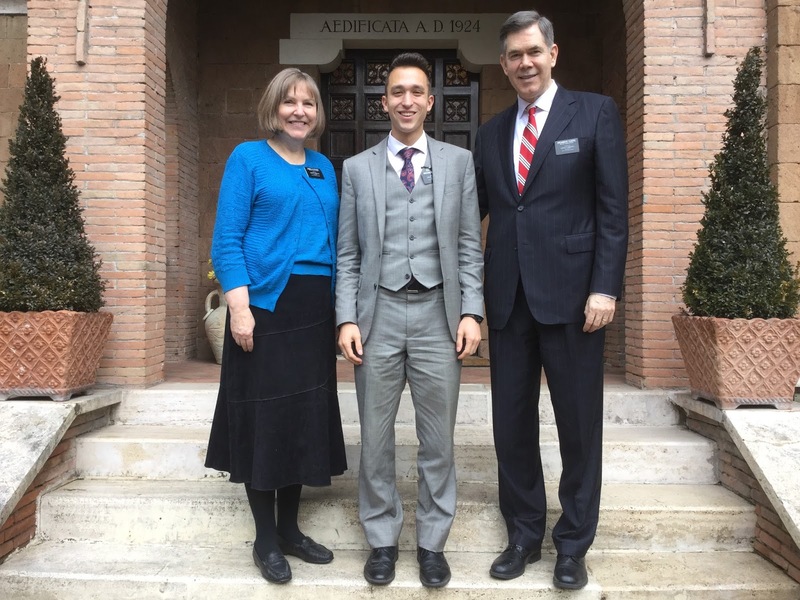 One thing that the experience in Salerno made me reflect on was a story that Elder Quentin L. Cook recounts in a devotional he gave some years ago about President David O. McKay. When I was your age, President David O. McKay was the prophet. President McKay served as President of the Church from 1951 until 1970, which was the year I turned 30. There is always something very special about the prophet who serves when you are a young adult. I loved and admired President McKay. He often related a true account that occurred while he was a missionary serving in Scotland. He was feeling homesick after being in the mission for just a short time and spent a few hours sightseeing at nearby Stirling Castle. When he and his companion returned from visiting the castle, they passed a building where the stone above the door had a carved inscription of a quotation usually attributed to Shakespeare, which read: What E’er Thou Art, Act Well Thy Part. I love this quote a lot because it shows that we always have to be doing our part to be who we really are at all times. We didn’t have to start talking to the people at the pizzeria and often times in our lives we may find ourselves in situations where we can maybe be different than we normally are or whatever. I just really love the fact that wherever we are we should always be doing what we can to be who we know that we need to be. I really know that all actions have consequences and something I loved this week that I read in a talk from President Thomas S. Monson was how we are always affecting the lives of others by the way we live our lives whether that be for good or bad. I hope that we may all do what we can to be who we need to be always! Sorry for the length of the email this week it was super long! Ok so I will start off with news on how transfers went down! I will be staying here in Sciacca with Anziano Campbell which I am super excited about! We get along really well and we are working hard together. We have been able to see many awesome miracles and I really hope that we will be able to see many more as well. We were both content and excited about what the next 6 weeks has in store for us! So this week was really crazy busy and we had a lot of stuff going on! We had a really amazing miracle last Monday night that was really awesome. We went to go teach our investigator who we had invited to pray about his baptismal date for either the 7th or the 14th of January because he had expressed that the 31st of December was too soon. So at the end of the lesson we followed up with him and asked him what he had felt like the right day was. He starts off by saying, “Well I don’t see a point… in waiting we can do it the 31st.” We were both dumbfounded and struck by what had just come out of his mouth. We were really excited though and we worked super hard with him all week and were able to get everything in that he needed to know and he was doing a great job of understanding it all as well! We were very content with how it all went and he passed his baptismal interview on Thursday night. He is such an awesome guy and has such a big faith. So Saturday roles around and we were able to have the whole branch out there to support him. We had a great baptismal service that was super special to have everyone participate in some way in it. He was very happy as everyone else in the branch was as well. I was able to be a testimony for the baptism and then I had the privilege of confirming him a member and giving him the gift of the Holy Ghost. It was all very special and there was a very special spirit there with us those two days. It was a really great miracle. We were also able to have some non-members there at the service, one of which is our other investigator. 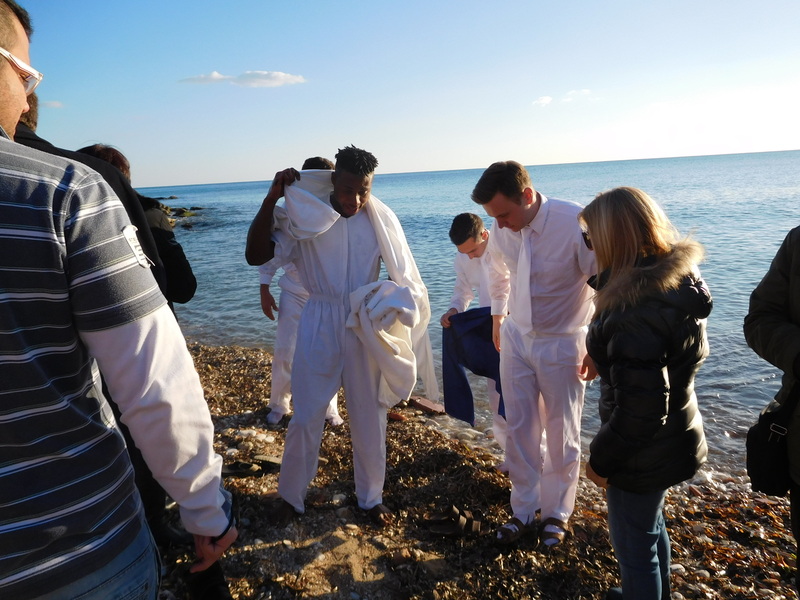 It all went so well and was a great opportunity for them to see and experience what a baptismal service is like. We had some other finding that we did this week and we were able to find a new less active member that we will now be working with! When we went to his door for the first time we weren’t sure what button was his on the citofono and he came to the door and opened it up since it was on the ground floor. He was really happy to see us and didn’t hesitate to invite us right in. It was really nice to meet with him and get to know him. We are excited to start working more closely with him and how we can be of assistance in helping him draw closer to Heavenly Father and Jesus Christ. We found out last week that we will be traveling to go and get Anziano Campbell’s permesso at his former city in Ascoli Piceno so we have quite a bit of distance to cover! Despite being out of our area for a little it will a great opportunity for us to continue to help God’s children in our travels searching and seeking out the people that need our help and who we can give a helping hand to. We are really looking to that aspect of the travel and doing all we can to continue to be the Lord’s representative at all times and in all places. 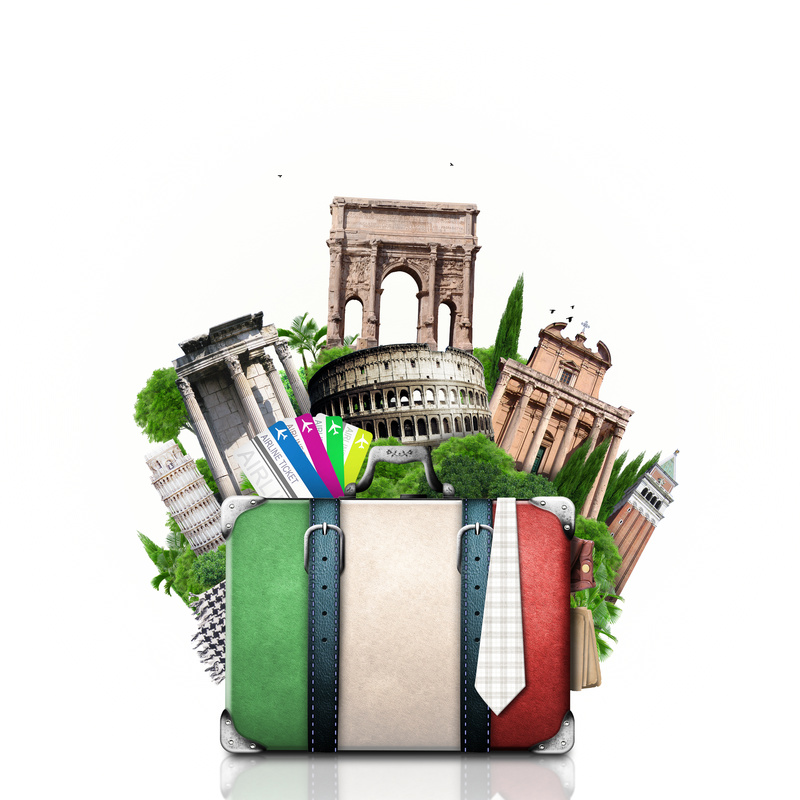 We head out to Palermo tonight and we will start our travel tomorrow. This week was a crazy week full of many wonderful experiences and lessons and the ability to help people draw close to Jesus Christ and it was such a fulfilling week. I really was able to think and reflect on how special it is to start over and that is what baptism gives us an opportunity to do. It symbolizes not only the death and resurrection of our Savior Jesus Christ, but also the death of our old selves and the birth of our new life in Christ. I am so thankful that we had the opportunity to help James out and start off the new year in such an amazing way! I know that he will do great things as he continues to live gospel principles daily and continues to draw nearer and nearer to the light and love of Jesus Christ. I am so thankful that we have the opportunity to start over every single day. I know that this is all through Him that has walked on this earth for us and I know that we are always able to start over with him at any moment. I know that to be true and that we can all be cleansed from all the guilt that sin and the mistakes we have made create within us. We just have to counsel and reason together with the Lord each and everyday and do all we can to continue to bring our lives more and more in harmony with his will. We will not be perfect, but I am thankful that he was so I have someone to rely on each day to help me through with everything that I have going on. I love you all and hope that you all enjoyed the New Year’s Eve parties and are ready for another amazing year! I love you all and will talk to you all soon! 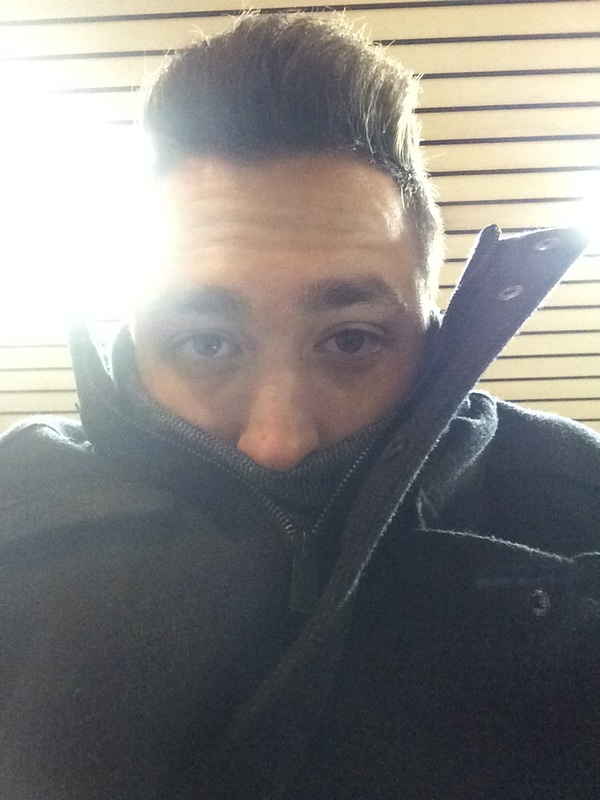 It gets cold at night in Sciacca! I hope that everyone had a very Merry Christmas and that you all enjoyed the holidays yesterday!! I always love the family time that comes out of the holidays when we are all able to just pause on life for a while and spend time with one another. It is super important to always treasure and cherish these times and memories that we can share with one another. I am thankful that the Savior can really unite us all together and I am thankful for the significance of this holiday to commemorate the coming of our Savior. I know that He has come and done all that He did for love of God and all mankind. I know that He will again come and that we can do all that we can to prepare ourselves for that time! 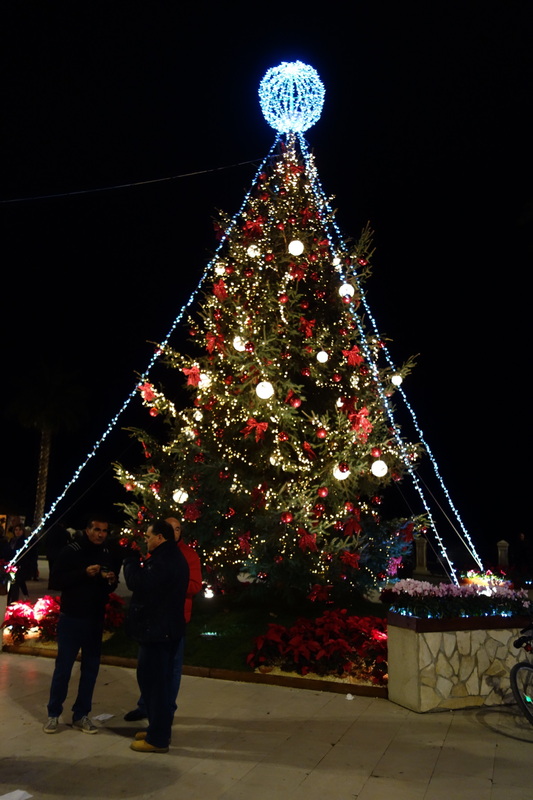 We had a great time here in Sciacca this Christmas! Babbo Natale [Santa Claus] passed by our house so that was super cool. We were able to go to church in the morning and it went super well! We were all edified by the talks that were given and the simplicity of the messages with their testimonies. It really helped us continue to feel the spirit of Christmas and reflect on the birth of our savior. Our branch President read through some of the verses in Luke 2 and elaborated as he went through it. After church we watched part of a movie and then went to a lunch with the branch President’s wife’s family which was a lot of fun! There was a good number of people, not as many as back home, but more than last year at Christmas, which made for a crazy time! We enjoyed being able to spend the lunch with all them and interact with them as we ate a delicious lunch because of which it was difficult for us to walk back to the church afterwards! We finished up that movie and then watched half of another one. Which we will be finishing today! We watched Zootopia and then It’s a Wonderful Life. Neither of which I have seen, but I thoroughly enjoyed the first and am loving the story of the second. We then got to finish off the night Skyping our families which was so much fun! I had a great time being able to talk to all them again and this time around it wasn’t really hard to hang up at all. It was nice to feel like we were all just sitting around again telling stories and such hahaha. It was a great time and definitely love them all so much! The week went by super fast and was jam packed with a ton of things that we were able to do! We started off the week playing Zone Soccer and caroling later that night which allowed me to reminisce on last years zone activity that we did as well! We had a great time doing that and were able to sing fairly well together too! We then had DDM Tuesday in Palermo and then a super awesome lunch at the Garrett’s home so that was cool to be able to invited by some of the family even though I am far away from everyone else hahaha. That was a lot of fun and we had a white elephant gift exchange and I made it out with a nice scarf! We proceeded then to have a nice scambio with the zone leaders and it was cool to be able to go with Anziano Blocker who is in my group and that was the longest that we were ever able to work together so it was a lot of fun. I love being able to learn form other missionaries and be inspired by the way that they work and what we can all learn from one another. We were able to then have a scambio with Agrigento here in Sciacca which went well too! I was with Anzinao Alexander and Anziano Jensen was with Anziano Campbell. We saw a lot of neat miracles in getting the husband of our member to join us for the spiritual thought this time around, and we were able to see a lot of finding miracles too that we hope all pan out super well this week too! Love getting to feel the energy and excitement that Anziano Alexander has and all the hard work he puts in! It was a great week and it just flew by! We were able to accomplish a lot and had little small moments to serve other to the best of our capacity. I really hope to be able to continue to put in as much hard work as possible! We are looking forward to see what the Lord has in store for us this next transfer when we will receive the calls tonight! I am excited to always be able to learn from the experiences and the oppourtunities that he places before us. We just have to continue to act, have faith, and trust in him! I am thankful for this time that we will also have to look back on another year and reflect on what is to come! There is a talk that comes to my mind that I would invite you to all read found at this link. There is something wonderful and hopeful about the word now. There is something empowering about the fact that if we choose to decide now, we can move forward at this very moment. Now is the best time to start becoming the person we eventually want to be–not only 20 years from now but also for all eternity. I know that we can start now and we can commit to change and with the Lord there to help us we can become the person that we really want and need to become!! Once again a Merry Christmas to all! I love you all and thank you so much for all the love and support you show me! Christmas luncheon in Palermo, a few days before Christmas. Hosted by Anziano and Sorella Craig Garrett (the senior couple in Palermo). We had a wonderful conversation today via FaceTime. It’s hard to believe that it’s the fourth, and final, call home. The time has really flown by and this conversation had a slightly different tone to it than the previous conversations because Taylor will be home in just 6 short weeks. It was fun to talk to him, ask him questions, and give him updates on what’s been going on at home. What a great way to spend part of the sabbath and Christmas day. Merry Christmas! iPhone screen grab of our FaceTime conversation. I hope that everyone had a great week and that you are ready for Christmas this coming weekend! With the weather down here it still doesn’t feel like that Christmas season back home sometimes, but they got the lights going, the music, and all the festive decorations out. We are excited how everything is going his Christmas season and we have been able to do a lot of great things with the Christmas initiate as well as trying some other new Christmas themed finding activities we thought of. We had a lot of things go on this week that we were able to do! Tuesday after DDM we started a scambio with Caltanisetta which went really well! I was able to go with Anziano Lancaster back to Sciacca and we were able to have a nice full afternoon together even though some of our plans fell through unfortunately. We adjusted well and had back plans ready so we started working on this right away and we were able to see some nice success with some English group publicity as well as trying to share the video with some people in stores and on the streets. I was able to learn some great lessons on the scambio from Anziano Lancaster and it was great to be able to get to know him better because I have known him for a while but have never been able to spend an extended period of time with him. It went super well and the work in Caltanisetta seemed to be going really well too! 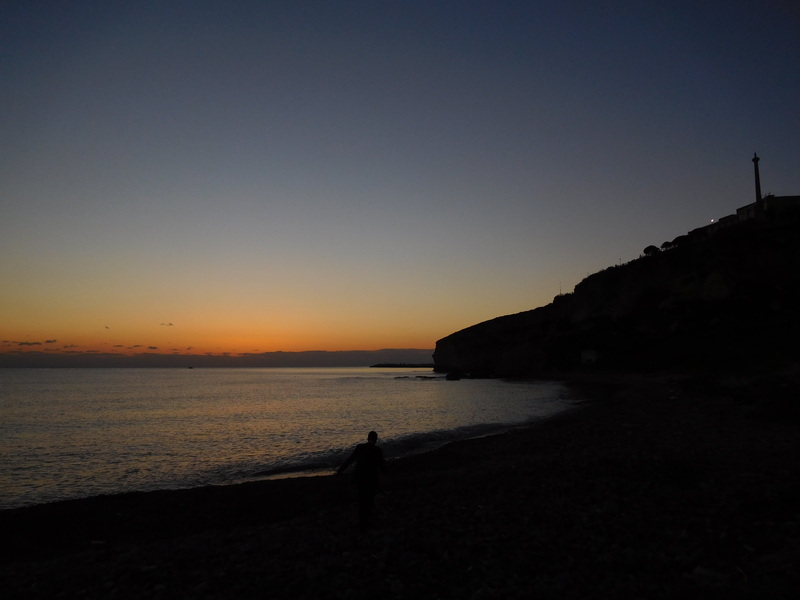 We were able to go back to do the switch in Agrigento and Anziano Campbell and headed back to Sciacca. We had a great lesson with our investigator that was sick/had back pain earlier in the week. He was doing better and we had a super great lesson with him. He is really doing well and we are doing what we can to help him keep his commitments. He has been reading more in the Book of Mormon and we are hoping to see some big steps made this week with the lessons that we will be teaching. In the middle of the lesson when we’re talking about the gospel of Jesus Christ he made some comments on having many different friends from different religions and expounding upon the fact that whatever be true it’s good he is here with us. We explained that he can know for himself with surety that these things are true. He just has to continue to search it out. As the lesson went on he stated the fact that he really loves the way that we think and believe in what we do, and that he sincerely hopes that he is able to really come that point to know it is true. We had some other eventful things happen like walking in a thunderstorm without umbrellas so Anziano Campbell fashioned a trash hat panoche and then I put one around my bag. We were soaked by the end of it searching for some less active houses that we hadn’t been to yet. It all ended well! We had a really great branch Christmas party that went really well! There were more non-members than members so that was really great! 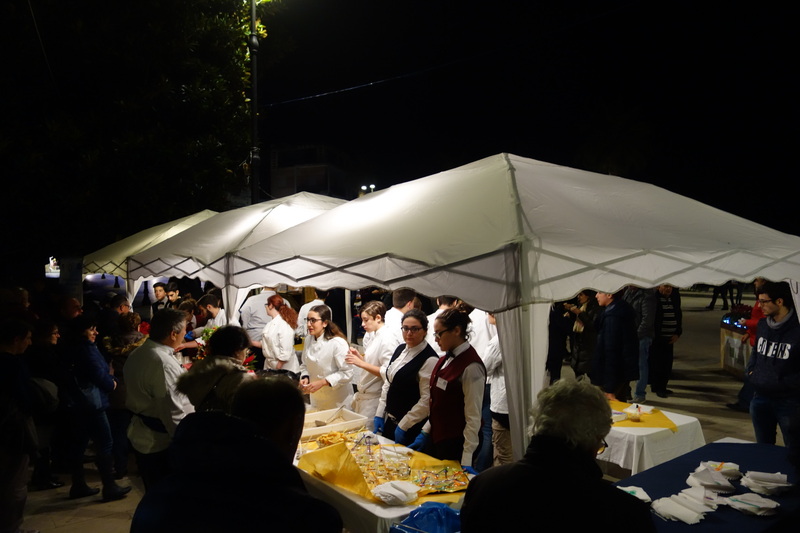 It was just a simple party where we did what Italians love to do most on the holidays! Eat! It was really great and there was some great food and we had great opportunities interacting with everyone there. It was cool to see that everyone enjoyed it and our branch president gave a really powerful spiritual thought that was super well done. We saw a cool miracle from that where one lady from the party that lives in the same apartment complex, because the whole first floor of the apartment is our church, came to church for all two and a half hours! It was really cool and the lessons were given in a great manner as well as the talks being well done. We had a good time for sure and left that table like 5 pounds heavier at least. It was a great week and we finished off our Sunday night with some house finding where we wrapped a Book of Mormon with a painting from a Liahona. We were telling people that we had a gift for them so we could gift them something that means so much to us. We had someone get mad at us and the very next door the lady opened up and she was really touched that we were offering this gift. It was super cool even though we weren’t able to get in or get a return appointment we really pray that they will read the book. The husband was very touched by it and he said that he would definitely read the book. I really hope that they read it and will feel the converting power that comes from the Book of Mormon. 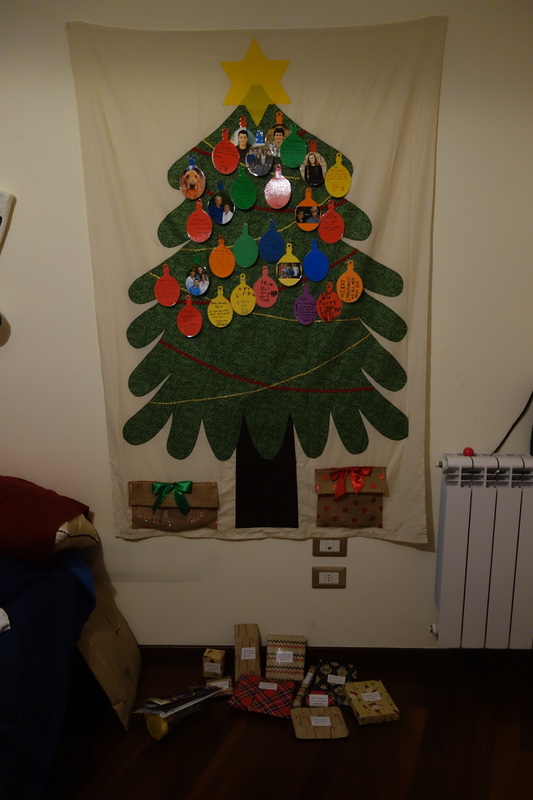 I am thankful for this week to be able to celebrate another Christmas here in Italy. This is a great time as we should do always to reflect on the gift of our Savior Jesus Christ that our Heavenly Father out of pure divine love gave to us. I am very thankful that we have an older brother that voluntarily came into this world to atone for all of us. One who was without sin or imperfections. He who gave all that he had to sacrifice Himself for each and everyone of us individually and personally. I am thankful for the time that we have to always be drawing closer and knowing Christ more personally each and everyday! I love this scripture from Isaiah 9. 6 For unto us a child is born, unto us a son is given: and the government shall be upon his shoulder: and his name shall be called Wonderful, Counsellor, The mighty God, The everlasting Father, The Prince of iPeace. He truly was all this and more and I love how each name shows and describes a different characteristic that he had that made him so perfect and unique. I hope that you all have a wonderful Christmas this Sunday and are able to enjoy a wonderful time at church Sunday and then some great time with family and friends! I love you all and am thankful for all the support and help that you guys offer me! Buon Natale e tanti auguri!!!! For privacy purposes, the names of all non-missionaries mentioned in this blog have been changed.